**Breast Cancer Awareness** We all know someone who is affected by breast cancer. 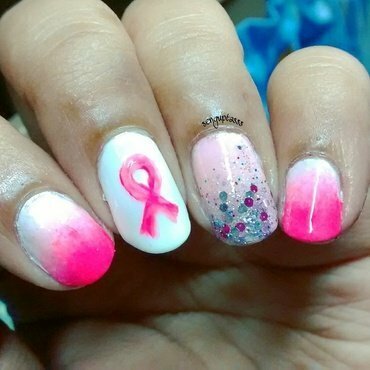 This Mani is for all those women who are fighting against the disease, who survived and all those who lost the battle.. Spread awareness #wearitpink 💝 There is no particular month or day.. Spread awareness everyday.. As you live .